I use these after softening my cuticles with product overnight as it makes it easier to trim. I find them great for those gard bits of skin at the sides on my nail that I used to nibble off. Now I have no need to nibble and have neater nails because of the skin around being trimmed properly. I find I am useless using these with my left hand so my right hand is never quite as neat. Make a hell of a difference! Must have for fab nails! Great tool for perfect manicures. I use these to trim the cuticles and skin around the nail bed, so easy to use and great quality, a must for perfect manicures. 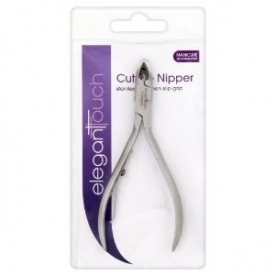 These cuticle clippers are a great investment. "I use these after softening my cuticles with product overnight as it makes it easier to trim. I find them great for those gard bits..."